Julien Cabay is an Assistant Professor at Université de Liège (ULg), where he teaches “Copyright Law” and “IP and Competition Law” (with D. Hull). Besides, he is a full time Postdoctoral Researcher (National Fund for Scientific Research – FNRS) in the field of intellectual property law at Université libre de Bruxelles (ULB). He is also a Lecturer in the same University (“International Intellectual property and Electronic Commerce” (with N. Kapetanaki)). 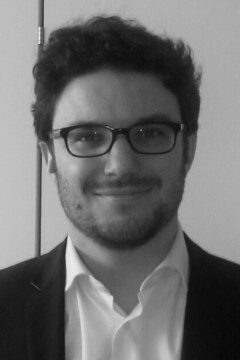 Prior to joining ULg, Julien has been a Research Fellow at FNRS (2010-2014) and a Teaching Assistant at ULB (2014-2016). Julien holds a Ph.D. in Juridical Sciences (ULB, 2016), a LL.M. in Intellectual Property Law (Katholieke Universiteit Leuven, 2011) and a Master in Private Law (ULB, 2009). During his studies, he has been an Erasmus exchange student at Università degli Studi Roma Tre (2008-2009) and is nowadays the Erasmus Academic Coordinator of the Faculty of Law at ULB. During his Ph.D., he has been a Visiting Research Fellow at Columbia Law School in New York (2012-2013). Julien is the author of many publications in Copyright Law and in general IP Law and his regularly invited as a speaker in those fields. In addition, his Ph.D. entitled “L’objet de la protection du droit d’auteur – Contribution à l’étude de la liberté de creation” (“The Subject Matter and the Scope of Copyright Protection – Contribution to the Study on Freedom of Creation”) will be published soon (forthcoming, Larcier, 2017).